Robert Charles Sproul (/sproʊl/ SPRO-ul;; February 13, 1939 – December 14, 2017) was an American apologist, author, and pastor. He was the founder and chairman of Ligonier Ministries. Sproul was heard daily on the Renewing Your Mind radio broadcast in the United States and internationally. Renewing Your Mind with Dr. R. C. Sproul was also broadcast on Sirius and XM satellite radio. In late July 2012, a new Christian internet radio station called RefNet (Reformation Network) was also announced by Ligonier Ministries in an effort to reach "as many people as possible" where Internet access is available. Sproul died at a hospital in Altamonte Springs, Florida on December 14, 2017 of complications from chronic obstructive pulmonary disease at the age of 78. ↑ "Dr. R.C. Sproul – The Founder and President of Ligonier Ministries". Ligonier Ministries. Retrieved 2008-07-30. ↑ Steven Forst, Resource Consultant, Ligonier Ministries. ↑ "Stations". Renewing Your Mind. ↑ Duncan, John M (June 30, 2008). "Renewing Your Mind now on XM & Sirius Satellite Radio". New and Noteworthy (blog). Ligonier Ministries. Archived from the original on August 17, 2008. Retrieved 2008-07-30. ↑ Larson, Chris (July 26, 2012). "Announcing RefNet: 24-hour Christian Internet Radio". Ligonier. ↑ "Dr. R.C. Sproul, Called Home to the Lord." (Press release). Ligonier Ministries. December 14, 2017. Retrieved December 14, 2017. 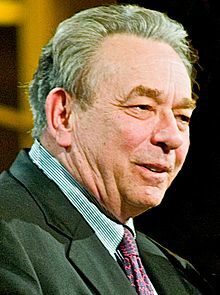 ↑ "RC Sproul Dies at 78". www.christianpost.com.